Question 1:-In Bohr’s model of hydrogen atom, an electron revolves around a proton in a circular orbit of radius 5.29×10-11 m with a speed of 2.18×106 m/s. (a) What is the acceleration of the electron in this model of the hydrogen atom? (b) What is the magnitude and direction of the net force that acts on the electron? Here, v is the speed with which the electron revolves and r is the radius of the circular orbit of electron. 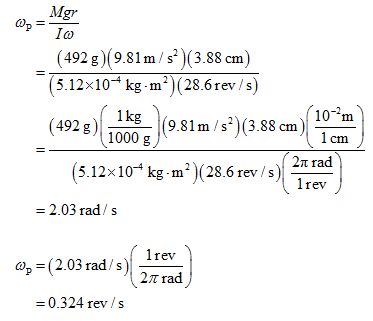 Here, m is the mass of electron, and is equal to 9.1×10-31 kg. The force is the centripetal force, and is directed towards the center of the circular orbit. Therefore, the acceleration of the electron is 8.98×1022 m/s2 . Therefore, the force acting on the electron is of magnitude 8.1×10-8 N, and directed towards the center of the circular orbit. Concept:Assume that desired angular speed of wheel C is ωC and the angular velocity of wheel A corresponding to angular speed of wheel C is ωA. Here vTA is the tangential speed of wheel A and vTC is the tangential speed of wheel C.
Therefore the time taken by wheel C to attain the angular speed of ωC  is t =(rC ωC) /αrA. Therefore the time taken by wheel C to attain the angular speed of 100 rev/min is 16.4 s.
Question 3:-Below figure shows a uniform block of mass, M and edge lengths a, b, and c. Calculate its rotational inertia about an axis through one corner and perpendicular to the large face of the block. Therefore the moment of inertia of the uniform block about the axis through one corner and perpendicular to large face of the block is M (a2 + b2)/3. 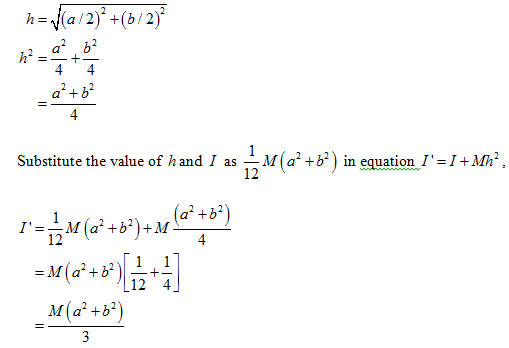 Question 4:- A top is spinning at 28.6 rev/s about an axis making an angle of 34.0º with the vertical. Its mass is 492 g and its rotational inertia is 5.12×10-4 kg.m2. 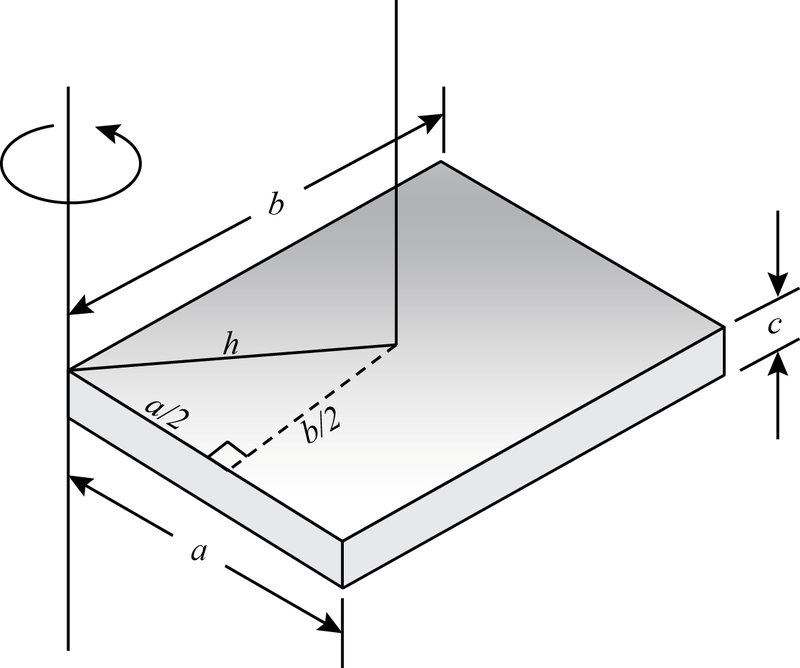 The center of mass is 3.88 cm from the pivot point. The spin is clockwise as seen from above. Find the magnitude (in rev/s) and direction of the angular velocity of precession. Here L is the angular momentum of the spinning top, M is the mass of the spinning top, g is the acceleration due to gravity and r is the distance between the origin and the point at the top. 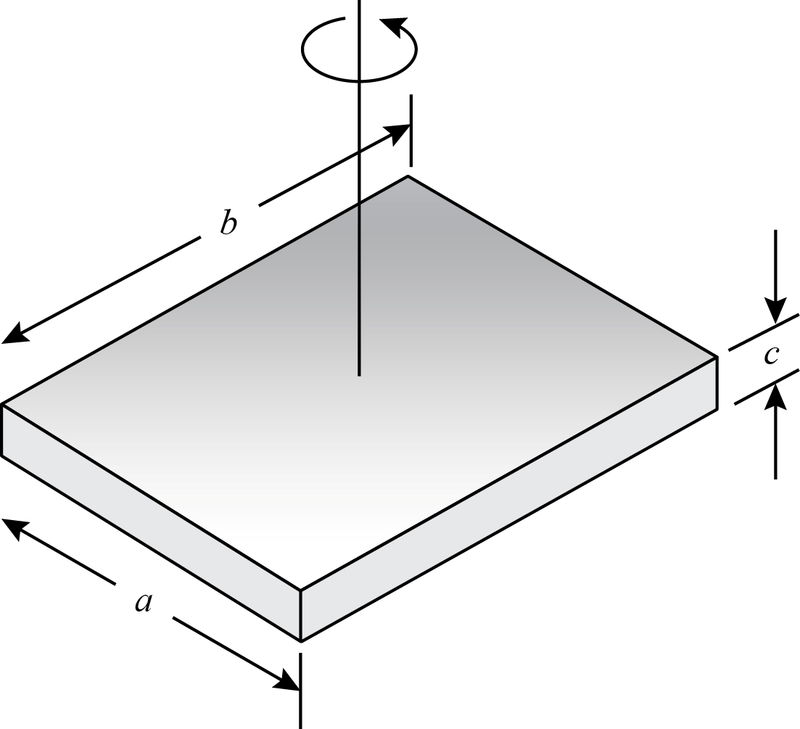 Here ω is the angular velocity of the spinning top and I its rotational inertia. Therefore, the angular velocity of the precession of the spinning top is 0.324 rev/s. 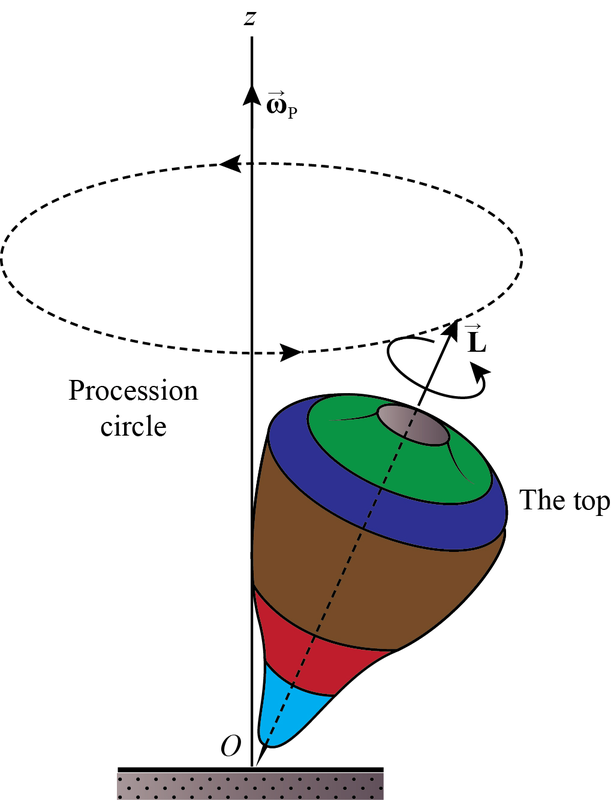 The figure below shows the spinning top and the direction of the angular velocity of precession. It can be seen from the figure that the direction of ω p is perpendicular to the plane of cone.